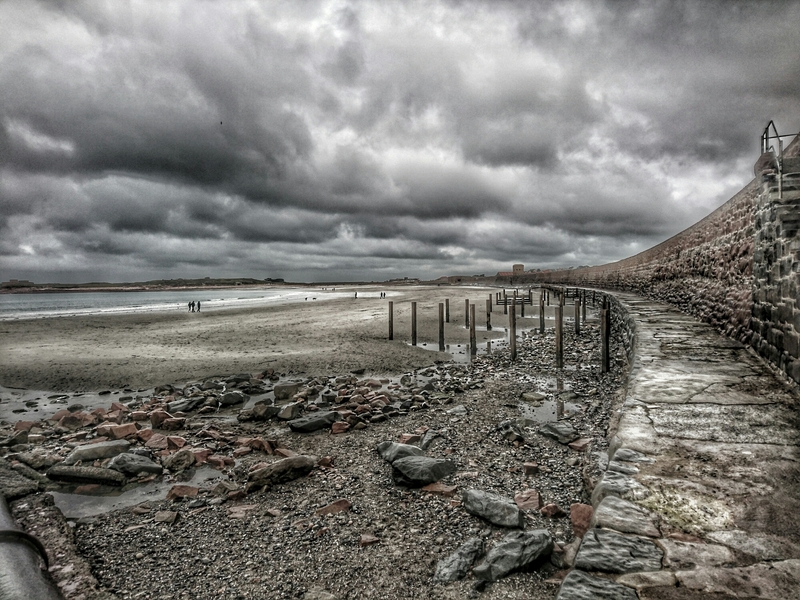 The west coast beach looking suitably windswept with lugubrious slate coloured clouds hanging heavy in November. 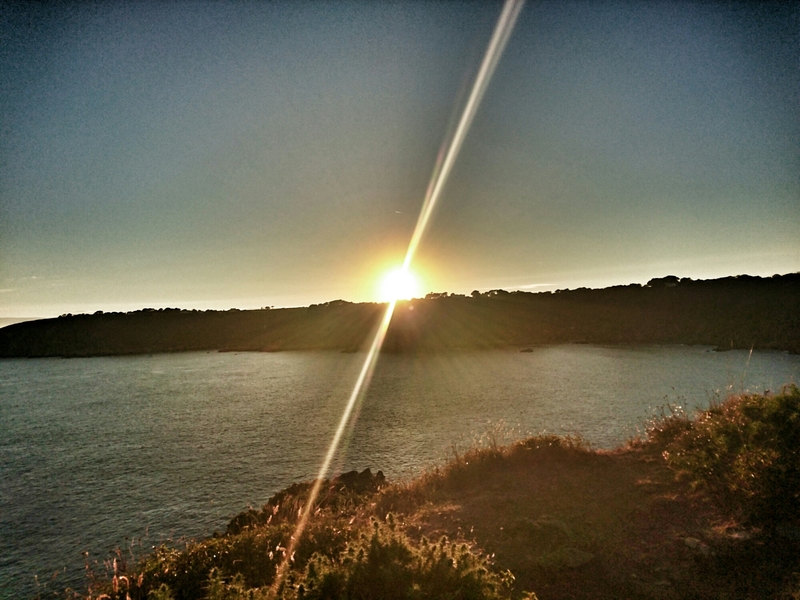 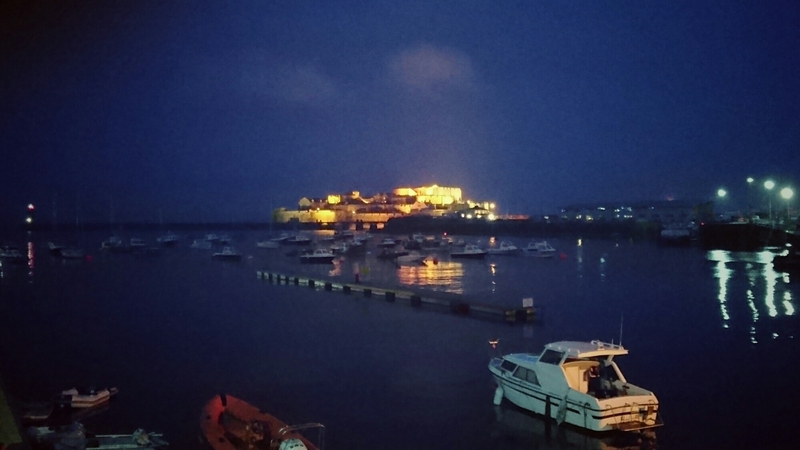 Curious light effect above the castle defending Guernsey’s capital thanks to lighting at night. 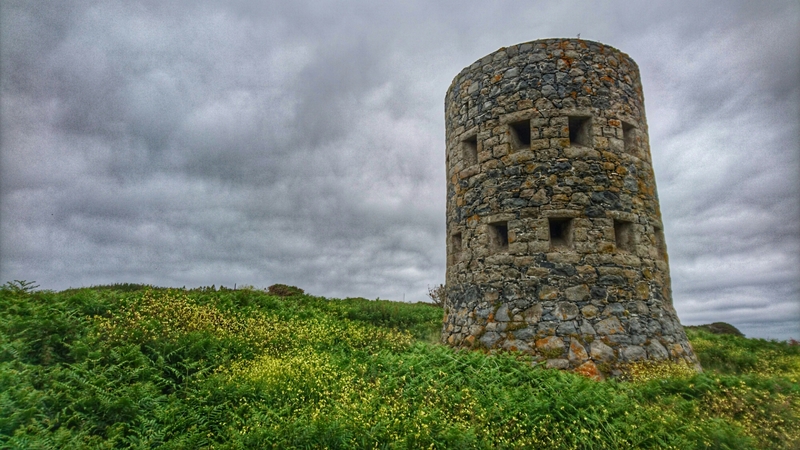 Often locally know as Martello towers, many of these towers were actually built before Martello towers.